The season of LGBT Pride 2017 is right around the corner. What’s a better excuse to travel than to check out another city’s festivities? During Pride, the gayest destinations are even queerer. With lots of extra glitter, glitz and good-looking Adonises joining the pomp and circumstance, there are lots of reasons to be proud. Before the parade passes by, take a look at our roundup of the most travel-worthy pride festivities on this year’s calendar. From a parade that takes place on a canal to WorldPride 2017, these 10 Pride celebrations are definitely worth the trip. Tel Aviv Pride is the largest LGBT event in the Middle East. Last year’s theme, “Tel Aviv Loves All Genders,” focused on transgender equality and brought out more than 180,000 attendees. In a city where gay life is everywhere, Pride is a joyous celebration in which the entire community joins. From dancing in the streets to parades by the beach, it’s a wild good time full of eye candy galore. This year’s Pride will highlight bisexual visibility and will be the first bisexuality-themed parade anywhere in the world. This year, L.A. Pride is nixing its popular parade. In lieu of speedo-clad go-go dancers atop big-rig floats and celebrity grand marshals slowly cruising down Santa Monica Boulevard, a protest march will take place. Dubbed #ResistMarch, it was inspired by the women’s marches that took place around the globe following Donald Trump’s inauguration. 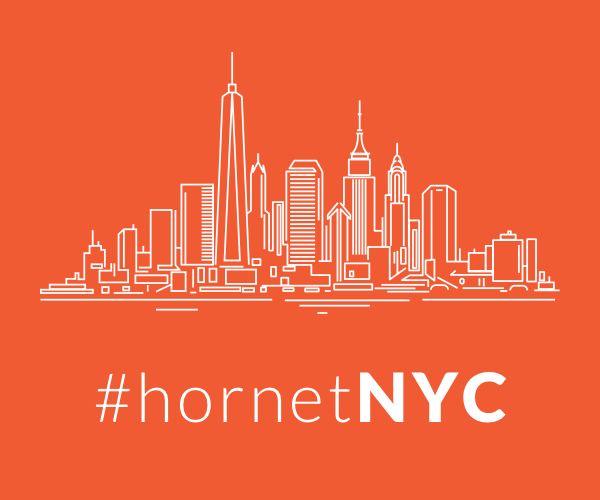 And Hornet, the world’s premier gay social network, will be the information platform for those looking to resist. In addition to this year’s #ResistMarch, L.A. Pride will also include a weekend-long music festival headlined by R&B singer Brandy and electro-funk duo Chromeo. Set for June 10 and 11 in West Hollywood, all artists performing are either openly LGBT or known advocates for the community. Joining Brandy and Chromeo are Young M.A, Erika Jayne, Brooke Candy, Kat Dahlia, Aaron Carter and iLoveMakonnen, among others. Sao Paulo Gay Pride is considered the biggest and best gay Pride parade in the world. In fact, it holds the title of “largest Pride” in the Guinness Book of World Records. In 2017, Sao Paulo will celebrate the 21st anniversary of Pride. The starting point for the parade is in front of the Museum of Art of Sao Paulo, right in the middle of the city’s main drag, Avenida Paulista. The focal points of the parade include 25 or so themed floats, called Trio elétricos. Popular Sao Paulo gay club The Week will be rolling out its annual hymn to hedonism with the Eterna Festival. This year, visit the birthplace of Pride and the world’s number one destination for LGBT travelers: New York City. On June 28, 1969, the LGBT community famously rioted following a police raid on the Stonewall Inn, a gay bar at 53 Christopher Street. Protests the following nights became a watershed moment in the modern LGBT rights movement and the impetus for organizing LGBT Pride marches on a much larger scale. Over the years, NYC Pride’s purpose has broadened to include recognition of the fight against AIDS and to remember those we have lost to illness, violence and neglect. Last year, in 2016, 350 unique contingents representing a diverse array of nonprofits, community organizations, corporate partners, small businesses and activists marched together. NYC Pride is launching a new three-day LGBT cultural experience: Pride Island. From legendary soul singers to indie pop bands, this new inclusive experience creates a central hub for the LGBT community to celebrate Pride. Featuring Patti Labelle, Deborah Cox, Tegan and Sara, Years & Years and Nelly Furtado, there is something for everyone on the island of Pride! Mexico City is one of the most populated cities in the world, with more than 21 million residents. Every year at Pride, the city fills with even more diversity and love. This year’s tagline is “Respect my family, my freedom, my life.” It was picked after last year’s anti-LGBT protest staged by Mexico’s National Family Front. Last year, there were more than 500,000 people marching. This year’s march will end with a huge free concert at the main square in Downtown (Zócalo). At the event, there are always top Latin performers and pop culture idols. The headliner is always a secret until the very last moment, but it’s always a crowd-pleaser, and the Mexico City Pride stage is a platform where several Latin idols have built their careers. With spring being filled with two major French elections (the recent presidential election and soon another for the new parliament), the Marche des Fiertés (Pride March) of Paris has not yet got a name for this year’s edition. But 2017 will mark the 40th anniversary of the first gay Pride in the streets of the French capital. The date is secured, though: the march will take place on Saturday, June 24, with a traditional start at 2 p.m. It will be the first major event for the LGBT community in the new era of Macron as President of France. No celebrities have been announced yet for the podium at the end of the march. This year, the march will be the highlight of a two-week celebration of LGBT culture and diversity, with tons of events. Known by locals as CSD Berlin (Christopher Street Day) and by the rest of us as Gay Pride Berlin, the festivities are spread over a week and offer around 200 events. Berlin’s Christopher Street Day offers one of the most eclectic Pride celebrations in Europe, with events including shows, exhibitions, lectures, films, concerts and plenty of partying. Amsterdam Gay Pride is one of the most unique and largest Pride events around the world. During the first weekend of August, you can enjoy a series of circuit parties, street parties and the world’s only gay Canal Parade. The only Pride parade where the floats actually float, this unique procession takes place on Amsterdam’s famous canals. Held in Taipei, Taiwan LGBT Pride is the first one in Chinese society, and the second biggest in Asia. It’s organized by Taiwan LGBT Pride Community, a nonprofit organization funded by Taiwan LGBT NGOs and gender groups. Throughout Asia, Taiwan is one of the most liberal societies towards its LGBT community, so Taiwan LGBT Pride attracts groups and individuals from its neighbor countries, including Japan, Korea, Singapore, Thailand, Malaysia and more. Unlike parades in the United States and Europe, Taiwan LGBT Pride is less commercial. As gay marriage could soon come to Taiwan — which would be a first for Asia — this year’s celebration will most definitely have an air of politics.